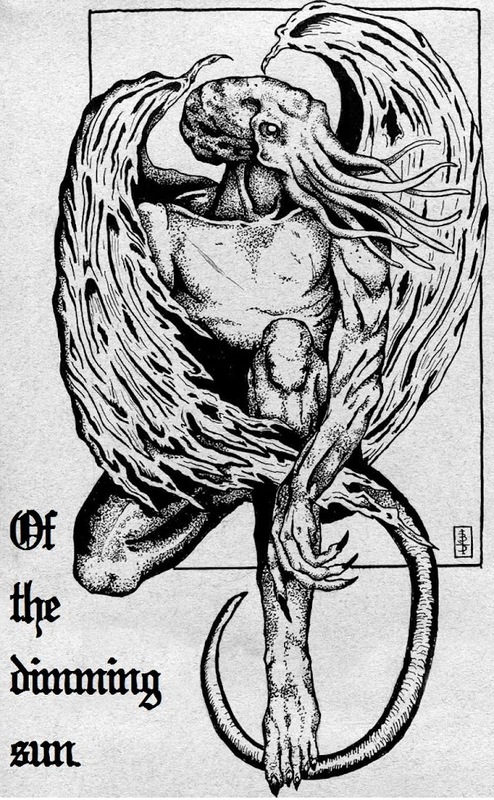 Based out of Southern California, the Black Twilight Circle consists of some of the most raw, dissonant, and awesomely repulsive black metal acts that are currently active in the United States today. 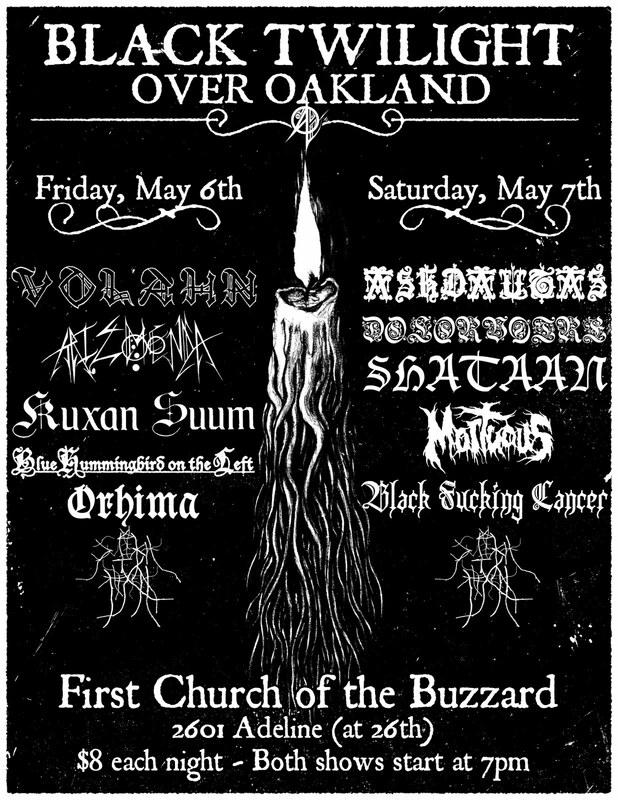 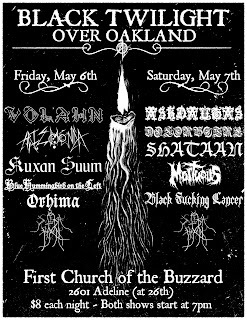 I witnessed the majority of these bands live at the first night of Black Twilight Over Oakland last week, and was truly blown away. 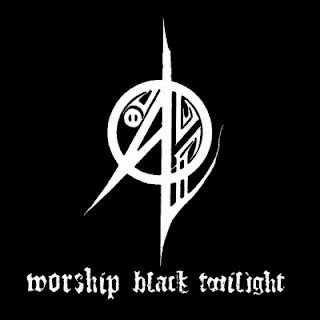 This compilation was limited to only 400 copies but stands as a fine representation of the extreme intensity that is encompassed by the Black Twilight Circle.